d-obsessed here at Qraved Journal, when we’re not eating, we’re usually talking about eating, writing about eating, or reading about eating. Few things are better on a rainy Sunday afternoon than curling up with a good book. Marcus Samuelsson is an award-winning NYC chef and the owner of Harlem’s comfort food mecca, Red Rooster. He’s not your typical soul food chef, however: Samuelsson has redefined what it means to be an American chef. Born in Ethiopia and adopted as a toddler by a Swedish couple, Samuelsson’s culinary journey has taken him from refined French food to upscale Swedish food to Ethiopian cuisine to soul food to Japanese-American fusion. His memoir takes the reader along on his journey of self-discovery as he charts his path towards becoming one of America’s most celebrated young chefs. Reading Yes, Chef will definitely trigger your craving for down-home American comforts like mac ‘n’ cheese. When that happens, look no further than The Goods Diner, where Chef Erlene Susanto has created Jakarta’s best modern Americana menu. Eddie Huang is a first generation American, a former lawyer, an award-winning chef, a restauranteur, a TV personality, and the owner of legendary NYC hole-in-the-wall Baohaus, where he serves up steaming portions of dim sum that your Chinese grandma wouldn’t recognize but would most definitely love. 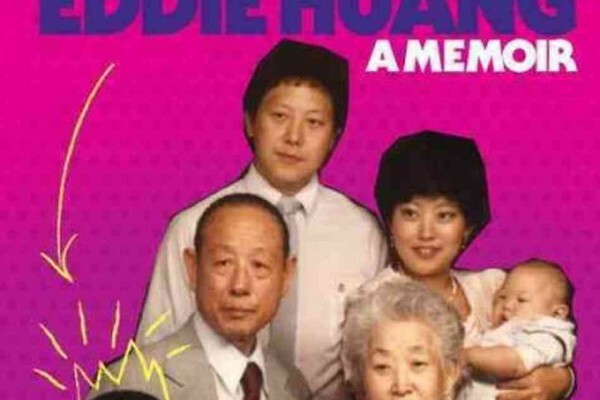 Born to Taiwanese immigrant parents, Huang grew up in Florida and found his identity somewhere between classic Americana, the Chinese heritage of his parents, and the African-American culture that he was drawn to. Huang became a lawyer, but quickly realized that wasn’t the right career for him. Having grown up in and around kitchens, in 2009 he opened Baohaus in a dark NYC basement and never looked back. His talent in the kitchen is backed up by a super-sized personality, which has led to multiple TV appearances, a show on Vice’s MUNCHIES, and even a new sitcom on ABC called Fresh Off the Boat, based on Huang’s life story and his memoir. If all this talk about bao has you craving some dim sum, check out some of Qraved’s favorites here. Have a great weekend, Qravers! The post Qraved Book Club appeared first on Qraved Journal.